George Lucas apologizes, clarifies comments about new "Star Wars"
George Lucas is clearing up comments he made to Charlie Rose about the new J.J. Abrams "Star Wars" movie, which has already raked in $1 billion-plus worldwide. He's also apologizing for what he's calling a "very inappropriate analogy." 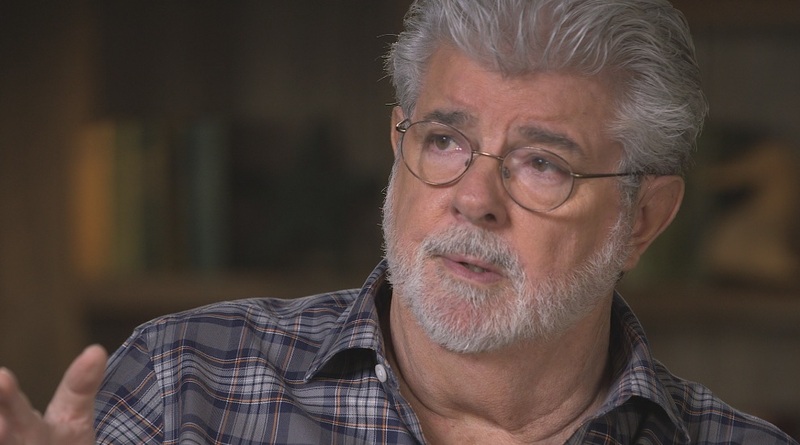 Lucas, 71, spoke with the "CBS This Morning" co-host about his decision to never direct another "Star Wars" film, along with the direction of the latest installment, released earlier this month. George Lucas talks "Star Wars: The Force Awakens"
"The issue was ultimately, they looked at the stories and they said, 'We want to make something for the fans,'" Lucas said. "People don't actually realize it's actually a soap opera and it's all about family problems -- it's not about spaceships. So they decided they didn't want to use those stories, they decided they were going to do their own thing so I decided, 'Fine ... I'll go my way and I let them go their way.'" In the same sit-down interview Lucas talked about his $4 billion deal with Walt Disney for the "Star Wars" franchise. I love [the films], I created them, I'm very intimately involved in them, and I sold them to the white slavers that take these things and ... " he said before his sentence trails off. "I want to clarify my interview on the Charlie Rose Show. It was for the Kennedy Center Honors and conducted prior to the premiere of the film. I misspoke and used a very inappropriate analogy and for that I apologize. I have been working with Disney for 40 years and chose them as the custodians of Star Wars because of my great respect for the company and Bob Iger's leadership. Disney is doing an incredible job of taking care of and expanding the franchise. I rarely go out with statements to clarify my feelings but I feel it is important to make it clear that I am thrilled that Disney has the franchise and is moving it in such exciting directions in film, television and the parks. Most of all I'm blown away with the record breaking blockbuster success of the new movie and am very proud of JJ [Abrams] and Kathy [Kennedy]." During his interview with Rose, Lucas also opened up about the plot of the latest "Star Wars" film and his mission with the episodes he has directed: "They wanted to do a retro movie. I don't like that. Every movie, I worked very hard to make them different. I made them completely different -- different planets, different spaceships to make it new." Disney's "The Force Awakens," which stars Daisy Ridley, Oscar Isaac, John Boyega, Harrison Ford and Carrie Fisher, has already made $629 million domestically. It also received positive reviews from critics, garnering a 94 percent rating on movie review aggregator site, Rotten Tomatoes.